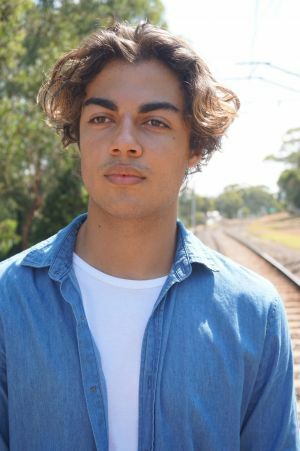 Singer and songwriter Jordan-Ravi, 19, cut his teeth in the mean streets of Darwin and has recently moved to Melbourne to jump at the opportunities being thrown his way. Last year the young musician scored a gig at the Aireys Inlet Music Festival, and was given the opportunity to support rock legend Adalita Srsen. Ravi had a chat with Off The Leash about growing up in Darwin, and where his sights are set. Thanks for taking the time to chat Jordan – tell us a bit about what it was like being a teenager busking on the streets of Darwin. I was a very naive kid – I’d just go grab my hat and my amp and play on the streets. I remember being so flattered and amazed that some people took notice. If I could get five or 10 people standing and watching it would just make my day because it’s such a challenge in a place like Darwin, where the weather is tough, everyone is in a rush. It was difficult to get people’s attention, but ultimately it was the best training. What did you learn from busking? I really learned how to hold a crowd and hone my entertainment skills because it was just so tough. The weather can be really ferocious, I would barely be able to see because my eyes were covered in sweat – that’s where I got one of my stage moves, flicking my hair back, just to get the sweat out of my eyes (laughs). What was it like playing interstate for the first time and supporting an icon like Adalita? When the opportunity to play at Aireys Inlet came up I was scared because I’d never played interstate before – all I’d known was busking and weddings, but I got my trusty guitar and went down there and played a few gigs in the area before the festival and I got a really good response. I was blown away because I was so nervous playing for the first time out of my home town. I was asked by the head of the festival to play before Adelita and I was so nervous. I played a few songs and got a good response there – I still get goosebumps thinking about it. How do you deal with the nerves on stage? I visualise myself back to being that 15 year old kid in baggy shorts and t-shirt playing on the streets at the Nightcliff Market. It empowers me and helps settle the nerves and reminds me why I do this – it really grounds me. Now you’re finding your feet in Melbourne and, recently being signed to YoYo Music, you’ve got your sights set on the US. What is it about the States that sparks your interest? It’s always been a dream of mine to see how far I can take my music and I’ve always wanted to go to the US and play there and see what can happen. I grew up watching so many stars from there – John Mayer, Eric Clapton, Michael Jackson and Frank Sinatra played huge gigs there, and part of me wonders how my music would resonate overseas.